On Sunday, Feb. 15, Eric and Katherine Church welcomed their second son Tennessee Hawkins Church into the world. He weighed in at 6 lbs. and 12 ounces and was 21 inches long. They plan to call him Hawk, and he joins older brother Boone McCoy. “I’m thrilled that Hawk and his mom are doing well. We aren’t sleeping very much, but we are enjoying every part of this incredible journey. I’m very blessed and thankful,” said Eric. 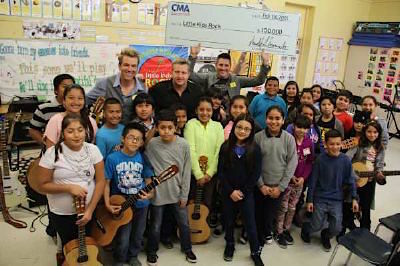 Rascal Flatts visited students at Miramonte Elementary School in Los Angeles Wednesday (Feb. 18) to make a surprise instrument donation and present a CMA Foundation grant to national not-for-profit Little Kids Rock. The $150,000 grant will help the program fund instrument purchases, teacher training, and other resources in public schools facing budget cuts. CMA Foundation grants are presented on behalf of the artists who perform for free each year during the CMA Music Festival, such as 2014 performers Rascal Flatts. 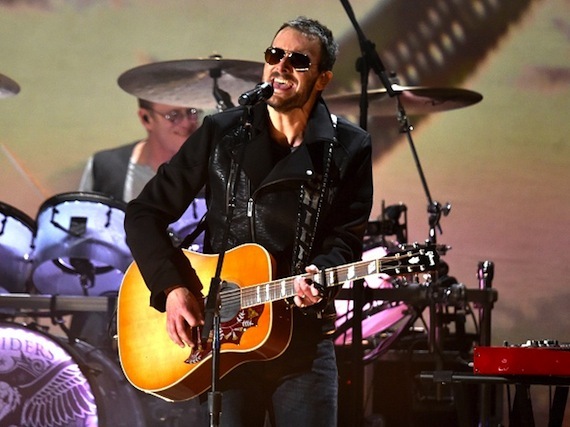 Since its founding in 2006, the CMA Foundation has donated more than $11 million to music education programs across the country. Brad Paisley has partnered with Diageo-Guinness USA to aid in raising $1 million by St. Patrick’s Day in support of local firefighters across the country. The fundraising benefits The Leary Firefighters Foundation by releasing a series of limited edition, firefighter-inspired t-shirts. One of the shirts was designed in collaboration with Paisley, who comes from a family of firefighters, including his father and brother-in-law. 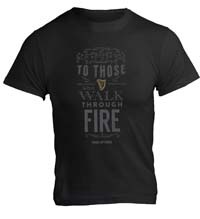 From now until St. Patrick’s Day, t-shirts will be available for a $20 donation through more than 1,700 in-bar events held across the country and at GuinnessGivesBack.com. Lady Antebellum recently presented the staff of Fitch Street Elementary School in Welland, ON with more than 35 new instruments for their music program. The trio partnered with Universal Nashville, Universal Canada, and friends from Little Kids Rock and the Education Foundation of Niagara to pull off the surprise. The surprise was part of the trio’s 7FOR7 initiative, which they launched for their current album, 747, when they traveled across the country, offering seven surprises to fans over the course of seven days. 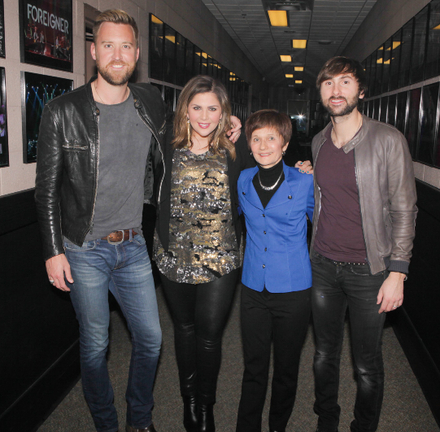 Pictured (L-R): Lady A’s Charles Kelley, Hillary Scott, Cindy Paskey (Education Foundation of Niagara Executive Director), and Lady A’s Dave Haywood.